There's more stuff from Twins manager Paul Molitor below, but here's one of the more interesting subjects he spoke about during his press conference today. As a mini-throng of Japanese media looked on, Molitor was asked about the Twins interest in free agent righthander Yu Darvish. "Let's make sure that the player and his team understand that we want to be part of discussions and we have targeted him as somebody we have tremendous interest in," Molitor said. "Where that's going to go, where the market's going to go, what we're able to do, how far other teams are willing to go, you know, there's things you can't control." 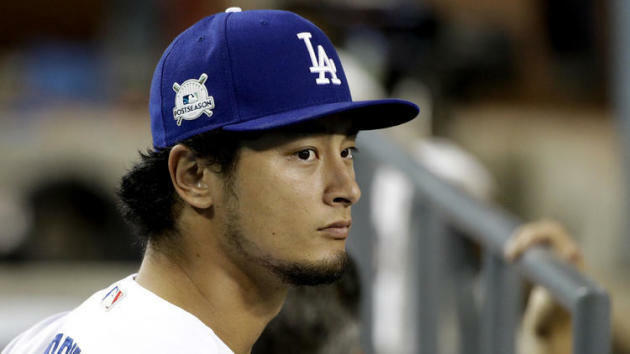 While I think the Twins remain against offering five- or six- year contracts to free agent pitchers, I'm starting to think that they will make a run at Darvish. A team official maintains that ownership is prepared to compete for top pitching talent. We'll see. As I said a couple days ago, actions speak louder than words. Big news of the morning: Michael Pineda has been signed to a two-year, $10 million contract. Since he's recovering from Tommy John surgery, it's a move geared more for 2019 than 2018. In theory, there's a chance he could return before the end of 2018. But with his history, it would appear to patience is the key here. Pineda has had shoulder, elbow, pine tar and food problems since breaking into the league in 2011. He's immensely talented, can strike out batters but also gives up more home runs than he should. He's never thrown more than 175 innings in a season, so I wonder if his calling is out of the bullpen. But I don't fault the Twins for taking a flyer on Pineda. It's a very interesting move. Many teams would wait for him to get healthy and watch him throw before offering him a contract. This way, the Twins can influence his rehab. Interesting approach. It doesn't solve their current problem with the rotation. The Twins continue to look for ways to add starting pitching. The Rays are talking to teams about Chris Archer, but might decide to keep him if they can't get a big haul in return. We'll see how far the Twins get with Darvish, for Lance Lynn and Alex Cobb are out there. "There's different ways to try to find ways to supplement your staff. We're working at it. It's been a busy few days as far as the amount of people we've talked to, free agent board, trying to find potential matches with other teams. I have a lot of confidence that the next wave of people from our organization is going to be more swayed to the pitching side than the position side, but that being said, to be able to find some people that can help us here to try to push this forward from what we did last year, it's obviously something that everyone has a goal of. Still optimistic that something really good is going to happen for us here." On what's a bigger priority, getting a starter or a reliever? "It's a tough comparison. Obviously, a lack of starter depth is concerning for me. I think over the course of a long season and the amount of innings you have to fill, depth in that rotation is maybe a tick higher for me. Obviously, I would love to do a little bit on both ends of the pitching." "I would like to think so. Your goal is obviously you respect who's out in front of you. We saw the Kansas City for a couple of years and then Cleveland the last couple of years. You know, you have to try to find a way to -- your goal is to be a division winner, which helps your path of your ultimate goal. So you have to try to find a way to chase them down if you will and without discarding the other team at the same time. "So, yeah, what Cleveland is going to do as far as they're going to have a little bit different look possibly because whoever might depart, first baseman, whatever. So we'll just have to see how it goes." A final note: The Twins-Indians two-game series in Puerto Rico on April 17-18 is a go.